What companies pull for target and Walmart so I can check them out. I know Swift and Schneider. Was at the Petro in Rochelle Illinois, dropped my trailer to put truck into the shop for oil change etc. Was dark when I pulled out and went back to hook up my trailer........jumped the kingpin over the skid plate.......no air drop switch in my suspension, 40,000 lbs in the box.....landing gear was not moving.....crawled in my truck, went to sleep....let it drop over night and pulled out with out anyone noticing! Werner was 3-4 days of orientation, then out with a trainer for 275 hours of behind the wheel driving time, or when your trainer feels your ready. I had 233 hours behind the wheel, but it took from November 8th, until December 19th to achieve the hours. I sat in a hotel in California while my trainer took a home time break, I also switched trainers, and that took 3 days. I chose Werner because of the opportunities they offered in the dedicated account division. I started on the Wal-Mart account and hated the multiple stop, multi-zone reefer. I told them I was unhappy, and days later I was able to transfer to the 3M account. I have been on the 3M for a year, and have really enjoyed the experience. I get an average of 3000 miles per week, and my loads are 95% drop & hook. I would have a preassigned load set up before i was finished with my current load, very very rare to sit waiting for a load. Pay is very good starting out at .35cpm, and if you run over 10,000 miles a month, you get a .02 cpm bonus for all miles driven that month. I was fortunate enough to receive 2 driver of the month awards during the year, which I was really surprised about. I didn't do anything special in my eyes, I went where I was told, got there on time, and never complained. I am moving on to a local dedicated job, I will still drive an average of 500 miles per day, but will be able to sleep in my own bed, and eat home cooking! Bottom line, I would go back if things don't work out with my new adventure. Don't see any pic attached? Enjoy, it only gets BETTER! $35k annualy, x0.66(taxes) / 12 months /4 weeks /70 hours = $6.85 an hour after tax? Is that right? I just finished my 1st year with Werner, I run a dedicated account with consistent miles of over 10,000 per month, I have very very little down time. Right now I'm off to Office Depot distribution center in Alabama, and already have a pre-assigned load from Greenville So Carolina to DeKalb Illinois. Bottom line is the pay is very good even starting out if you choose the right company and account to drive on. All of the big companies have multiple choices for drivers, regional, 48 states, dedicated, etc, and each account pays a different scale. I am making more than my trainer in cpm, but he grossed more due to his compensation from students. All I have in my truck is the Qualcomm gps, I have used it for 15 months, dispatch sends a preloaded trip, If in doubt, I double check with my atlas, and also check Google maps. It tends to send you on state highways For shorter distance on trips, but looking at your atlas will help you plan a route using interstate highways. Was ready to put in my notice, when I get a call from Werner headquarters telling me my fleet manager nominated me for "solo driver of the month".....and I was chosen to receive this award for October. Hard to put in my notice, told new employer I needed to wait a couple more weeks.......figured I'd run out the rest of this year, they were cool and understanding, want to get the certificate & $800 dollar bonus! 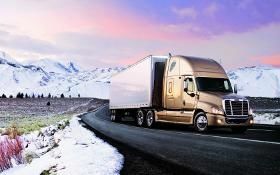 I have been with Werner for 13 months, they would want/expect you to do the right thing with regards to CR England.......I too am switching from Werner to a new company, and the new company told me that a position is available after I have completed my disposition of my truck, and I haven't given my notice yet. I am just getting back into trucking myself. Back then I always informed them that I would be leaving when I knew something and some even after a year or so would call to check in on me and ask if I would be interested in coming back. It's always nice to not burn a bridge, but somethings it happens. When I left Prime I'm sure they were not happy with me, but have never had a company(dispatcher) do what they did to me and then sending me a survey and the last question being along the lines of what could we do to get you to reconsider or something like that, sure I could have talked with the upper management and thats why I have always disliked the bigger company's, but anyway always give the 2 week notice and give them 2 weeks, I don't know what you mean by treating the driver poorly, but that has not happened to me when I gave one. Sure, I was going to be leaving in two weeks and some didn't run me as hard and some kept running me hard up until that point. I am liked by my fleet manager, and want to be sure I approach this property not to upset them. I wouldn't think of any other way, 2 weeks notice is not the question, for sure I will give them proper notice, my concern from things I've read in the past is companies have gotten angry and treated drivers poorly upon learning of the drivers intent to quit. I have accepted a local Target dedicated position with Ruan, which will pay me much more, get me home every night, and not sure how to tell present company this.......... I will do the right thing and return my truck to a terminal, etc. Just wondering how a company like Werner will take the news. Will they be upset, or are companies understanding? When is it best to tell them......right away.....or after I'm home, while mid trip, or just coming off home time? I've been having the issues also, but I found that you have to log a minimum of 5 minutes on off duty for it to stick, otherwise when you start moving, it defaults to driving for all time. I told my Dr that I was driving otr and she changed my BP prescription to a 3 month supply, I camp out over night at Wal-Mart regularly, and have gotten refills in Illinois & So Dakota. Most miles legally in 11 hours? 678 in just under 11 hours, but I am governed down to 65mph, but do take advantage of the down hill momentum!